Dental implants can be a significant investment. The dedicated cosmetic dentists of New Image Cosmetic & Family Dentistry in Vancouver WA believe that everyone is entitled to a beautiful and functioning smile. It is important to remember that the cost for dental implants is an investment into yourself, your health, and your self-esteem. The price of dental implants varies. A single dental implant can cost anywhere from $3000-$4500, with the price typically decreasing per implant when there are two or more. Our dentists can provide a free dental implant consultation to patients interested in implants. It is important that you specifically ask for an all-inclusive quote when meeting with your dentist to become aware of any additional fees for service. Most dental insurance plans do not cover dental implants. However, some insurance plans offer partial coverage as insurance companies are starting to realize that Dental Implants are actually a cost-effective and permanent solution. Our staff encourages you to call your insurance provider when evaluating your financial options for Dental Implants. 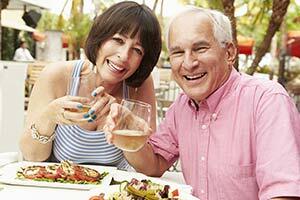 IS IT CHEAPER TO GET DENTAL IMPLANTS ABROAD? Any mishap could cause complications that are both painful and expensive. The dental implant procedure is usually completed over a course of several appointments and should not be rushed. Our dentists do not recommend traveling while healing from the procedure, especially for those with health concerns. Dental implants are a personal investment. Keep your overall health in mind, and contact our friendly and knowledgeable staff in Vancouver WA to schedule a free implant consultation. Our team will provide all the necessary information about dental implant costs.